For most children, education would begin at home, where they were taught the basic etiquettes and proper manners. Other basic principles of childhood included respecting their mother and father, asking their parents blessing, rising early in the morning and saying their prayers. 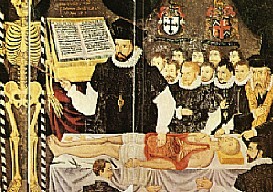 Which was an Elizabethan book detailing the details of the Christian Faith. Curriculum, also, included the correct behaviour at the table such as eating small morsels, chewing properly, using a knife and using a napkin. Children would also be taught their ‘place’ in society which included where they should sit at the table. It was necessary for boys, from the age of 7 to 14, to attend grammar school, but girls were rarely allowed in the institutions. Only very wealthy people allowed their daughters to be taught, but only at home and with a restricted curriculum. During this time, endowed schooling was available in a few localities, where funds were sufficient to provide support as well as the necessary education scholarship. This meant that even the boys of very poor families were able to attend school if they were not needed to work at home. Life at school, and childhood in general, was quite strict. Punishments were fierce and corporal punishments, like beating and caning, were not an uncommon occurrence. 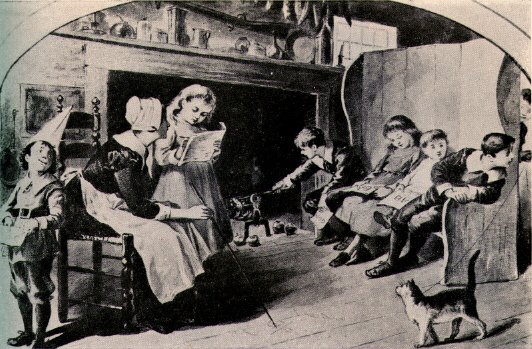 After completion of grammar school, most boys were generally expected to start working. Those who wanted to learn trades or crafts attached themselves to established traders or craftsmen as apprentices. Some even apprenticed as the curators of the clergy. For the privileged few, further education, in the form of universities, was available. Various types of faculties were provided at the universities, like Philosophy, Theology, Literature, Arts, Sciences and Law. In addition to a University education, the privileged classes would also travel the major cities of Europe, to study cultures, local arts and architecture and customs and traditions. Travelling was difficult, and needed both money and time. So, only the nobility followed this course of learning. Most were content with the education at their disposal.